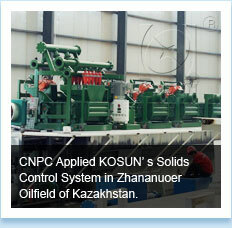 Polyurethane ( PU ) material, high-chromium cast iron or ceramic for desander and desilter cones. Desander cones can be installed between one and three 10” desander cones, each cone can process 500 GPM and makes a separation between 45 and 75 μm. Desilter cones can be installed between eight and twenty 4” or 5” desilter cones ,each cone can process 80 GPM, and makes a separation between 15 and 45 μm. 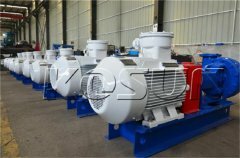 Mechanical Deck is adjustable during operation, reliable performance. Polyurethane ( PU ) material or high-chromium cast iron for desander cones with longer lifespan. Clamp type for easy maintenance. Flexible options for 1, 2 or 3 pieces of 10" or 12" cones for different capacities. Flexible fast connection are available for user assembly. 100% Polyurethane ( PU ) material for desilter cones with longer lifespan. Flexible options for 8 or 10, 12, 16 pieces of 4" or 5" cones for different capacities. Flexible fast connection is available for user assembly. 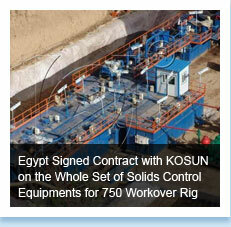 KOSUN will provide suitable and reasonable solutions on equipment design and purchase to its customers based on their actual requirements and field situations before they buy and then begin to manufacture accordingly. 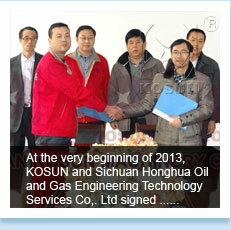 KOSUN staff will accompany the customers to examine equipment and help draft construction scheme and detailed procedures. 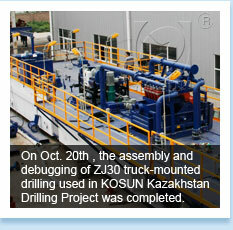 KOSUN will dispatch technicians to offer guidance on equipment assembly, adjustment and training for operators when equipment arrive. And they will also be responsible for maintenance and reparation within the first 18 months of the equipment application. For any question or support, please fill in the form below, we will get back to you as soon as possible! !